I am always on the look out for new luggage, not least because every time I collect my luggage from carousel, it’s returned to me in a sorry state – sometimes stained, sometimes soaked. On my most recent trip there was a sorry looking suitcase handle travelling around on the carousel next to my case, there was no sign of the poor dismembered case it was once attached too! Gate8’s luggage is all very well designed to keep your clothes crease free and organised. I bought my latest piece of Gate8 luggage from LaptopBags. 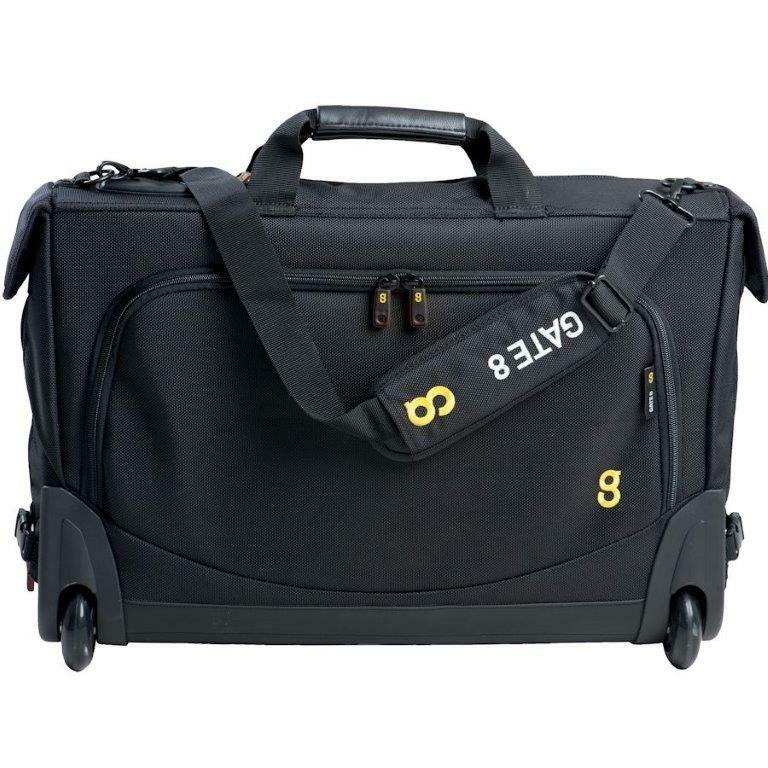 My new and compact Gate8 Garment Mate is designed to travel with you in flight and is billed as being ideal for the business trip, unfolding for formal garment storage with a unique zip-off laptop bag. All my trips are both for business and pleasure as it is my business to enjoy and review luxury hotels. As a result, I am more concerned about creases in my dresses but the same functionality applies. This case does the job to keep my lovely stuff perfect and is incredibly practical. Will it replace my oversized in flight designer handbag? No, but I am sure I can convince my husband to wheel my Gate8 Garment Mate around on my behalf thus keeping my dresses looking superb. With dimensions of 53 cm x 36 cm x 15 cm, it can be taken on board, and inside the plane, you can un-zip the laptop bag from front, place garment bag in overhead locker and have everything you need will be with you for the flight. It comes with a lifetime warranty and at only 3.1kg it is incredibly light. See my review of GATE8 Cabin Sized bags for more luggage inspiration.